Which will be the best party of the year. A night full lots of music, dancing, entertainment, raffles, workshops, open bar, etc. The event will take place at the rear of the center of events and conferences Waterfall in the Ocean Club Lounge. PARTICIPATE IN THE NEW MUSIC VIDEO LA CANDELA. 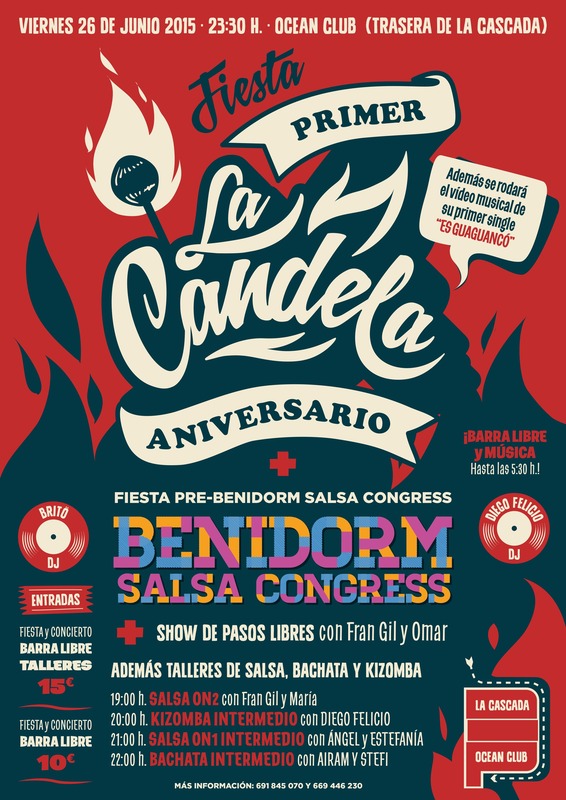 The group La Candela, during its 1st Anniversary that will record the video clip of his first studio work. In addition we spoil you with its good sauce with 3 passes each half hour. In a few days we will reveal many more surprises.